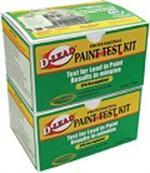 The D Lead Test Kit is the only test for lead in paint that is ETV Tested and EPA Recognized for use on Drywall, Plaster, Wood and Metal Surfaces. 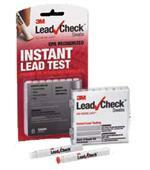 The D-Lead® Paint Test Kit is the only test for lead in paint that is ETV Tested and EPA Recognized for use on Drywall, Plaster, Wood and Metal Surfaces. 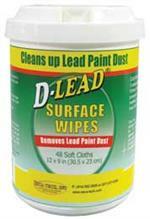 D-Lead® Dry or Wet Skin Cleaner loosens and lifts heavy metal dusts, contaminants, dirt, oils, grease and inks with or without water. Apply to the skin then rub. 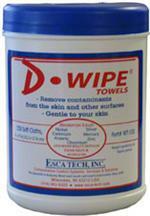 Wipe off with a clean dry towel or rinse off with water. Your price: $69.00- thats $17.25 per gallon! 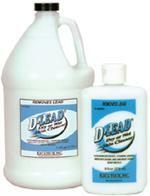 D-LeadÂ® Hand Soap quickly and efficiently removes heavy metal dusts, lead and contaminants from the skin and hands. Each gallon of concentrate makes 5 gallons of working strength cleaner. 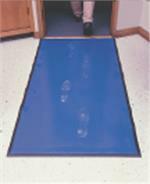 5 gallons of working strength solution will cover 3,000 to 6,000 square feet. 32 ounce spray bottle for easy application. 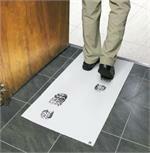 Spray, scrub and wipe dry with a clean cloth.